Nintendo will bring back the NES Classic console. In a press release, Nintendo says it plans to ship the NES Classic in summer 2018. This news comes months after the company announced it will stop producing the NES Classic Edition console, with the last shipments made in April. According to Nintendo, the NES Classic was never “intended to be an ongoing product.” However, it seems overwhelming demand for the NES Classic and its successor has changed Nintendo’s mind. In addition, Nintendo announced more units of the Super NES Classic will be shipped on Sept. 29 in the U.S. The supply of Mini SNES consoles should exceed the total number NES Classics shipped in all of 2016. Regular shipments of the Super NES Classic console will also continue into 2018, when it was originally slated to end after the holiday season. Nintendo wants to make it easier for fans to get hold of the Super NES Classic. Recently, Nintendo of America's Reggie Fils-Aime commented on the possible shortage of the Super NES Classic and assured gamers that there will be a lot of units coming. 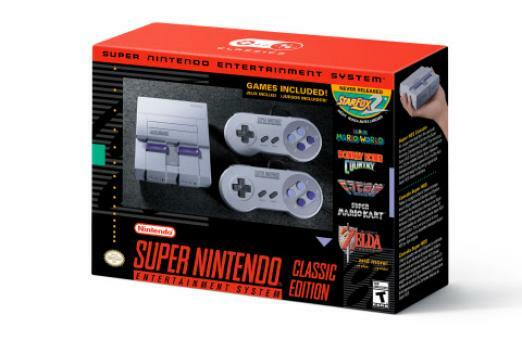 Pre-orders for the Super NES Classic console began in late August. The Super NES Classic console will release Sept. 29. So are you relieved to hear there will be more units and shipments of the Super NES classic? Will you try to grab an NES Classic when it returns next year? Sound off in the comments section below.